We’d love your help. 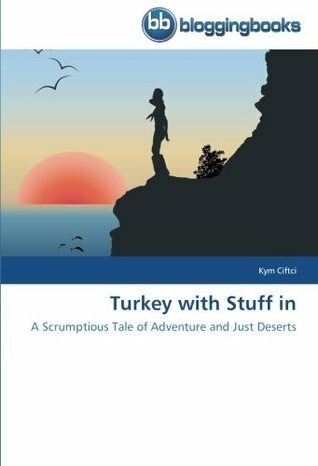 Let us know what’s wrong with this preview of Turkey with Stuff in by Kym Ciftci. To ask other readers questions about Turkey with Stuff in, please sign up. Hard to put down once you begin turning the pages. A true tale of an incredible journey with twists and turns along the road. Each chapter leaves you wanting more, waiting to find out what the next turn in the road will bring. There are places that will leave you open-mouthed in disbelief while others will have you laughing out loud, looking around to see if anyone has heard you! The book leaves you with a sense of ‘belonging’. To a family you have never met, who would make you welcome to the ex Hard to put down once you begin turning the pages. A true tale of an incredible journey with twists and turns along the road. Each chapter leaves you wanting more, waiting to find out what the next turn in the road will bring. I'm an expat too living not so far away from the author but I've only just completed my first year. It's full of the experience I've had and it's not too see someone else perspective on them also the differences re the Kurdish and Turkish elements with reference to her husband/boyfriend. I'm desperate to know about her wedding, if she still lives in Didim etc etc. Is definitely read a 2nd should their be an update.